We are renaming the studio! We are excited to announce the official renaming of The Loft. We have always given the studio space at Phoenix the nickname “the Loft”, but now we are officially naming it such. Given the expansion of the Computrainer deck that can accommodate twice as many riders and the official renaming, we thought it was a good enough reason to throw an Open House Party. Come join us on Friday night 7-10 pm to celebrate. Enjoy music from The Porchmen, beer and snacks. We will also introduce our new schedule and tell you about some of our exciting new class opportunities. Then on Saturday we will showcase many of our classes in a free open house. 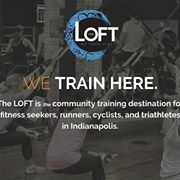 Be sure to join us Friday night and sign up for the free classes you’d like to try out on Saturday.